Anyone have a Citizen BN0150 series diver? I’ve never actually seen this one in person but it looks pretty nice in pictures and would make a great new beater. They have recently replaced this model so it’s getting a little harder to find. Still on Citizen's website so I don't think it is going anywhere. Thought about picking this one up too recently. Quartz, Eco-drive, and WR to 200m, would make an awesome anytime watch I know there are oodles of thoughts on the model (black and blue) over on WUS's Citizen forum. Had one for a short while (came in a trade), like the other Eco-drives felt bullet proof. Reasonably heavy or perhaps better stated heavier than I expected it to be, even on a rubber strap: a nice "substantial" feel. I would say similar to a Muhle Glashutte Nautic Timer in the "tool" category, albeit with a different movement and a lot cheaper. It went to a kid who volunteered with me for a couple years. I've had a couple Eco-drives for closing on 17 years, and they just keep on ticking. Of all solar watches, the Eco-drives are the most reliable I have seen, and it's the only reason I've always wanted to get one at some point. I went to see what that model looked like and here is my feedback on it. 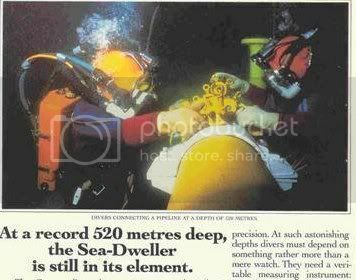 I knew a commercial diver friend of mine who wore one of these for a while and liked it. Then one time when he was on a shift job rather than on rotation, he got night shift. For some reason after about a month on night shift, the watch stopped working and he started leaving it outside during the day while he slept. I know the eco-zilla says it will operate on a full charge for 6 months without light, so not sure what happened with his watch. Perhaps it was never fully charged up. My wife has the women's version of this watch - it has always worked great. I actually need to have her get it out and let it charge back up because I know it's been packed away a while. I don't think you can go wrong buying that watch as a beater. T, when Service Merchandise went out of business in 2002 I bought 4 Eco-drive watches, 3 GMT's and a dress watch. I kept 1 GMT and gave the other watches to family members. My memory is that one of the GMT's never worked well. I expect like anything inexpensively and mass produced the QC is lacking and a lemon gets loose. I still have the GMT and an Eco-zilla that I got when they came out. The d*mn things keep ticking away. I leave them on a bookcase that gets some sunlight. When I used to throw them in a drawer they on occasion stopped. They were of course in the drawer a long time. The amazing thing to me is the Eco-zilla started up a day after being "lost" (misplaced) for 2 or 3 years. I am thinking seriously about getting one of the Seiko solar Tunas, though I want to see one first.